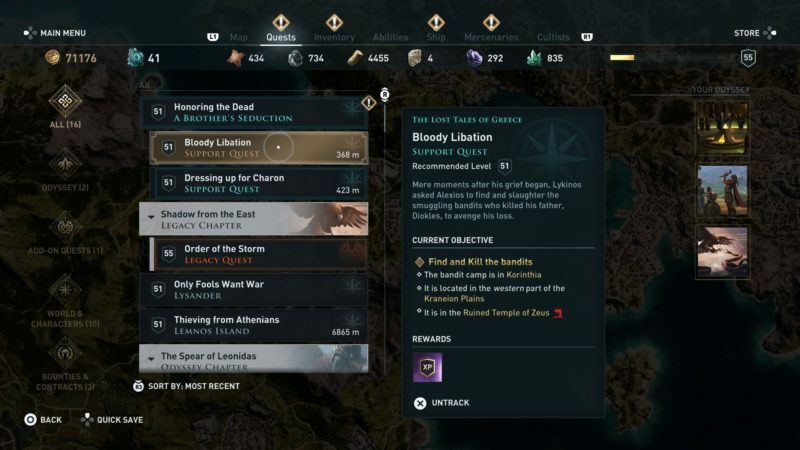 Bloody Libation is a quest in Assassin’s Creed Odyssey that was introduced a day ago. Your task is to help Lykinos kill the bandits who took his father’s life. 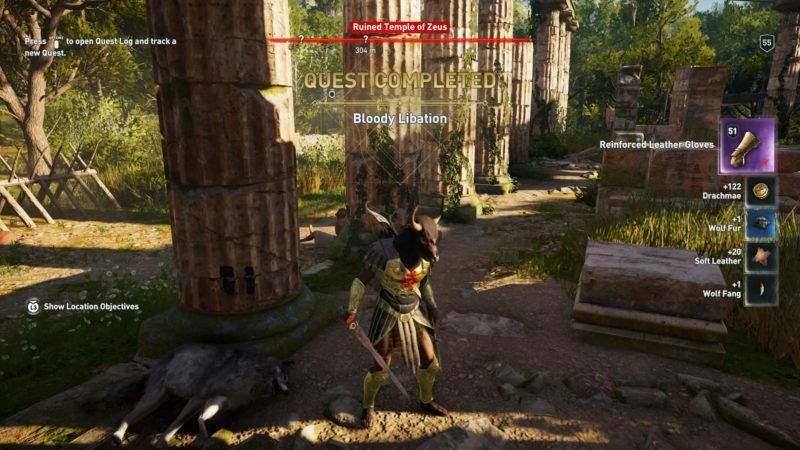 Here’s a walkthrough of Bloody Libation in AC Odyssey. This quest is recommended for those level 51 and above, but it differs according to your character’s level. There is only one objective for this quest. 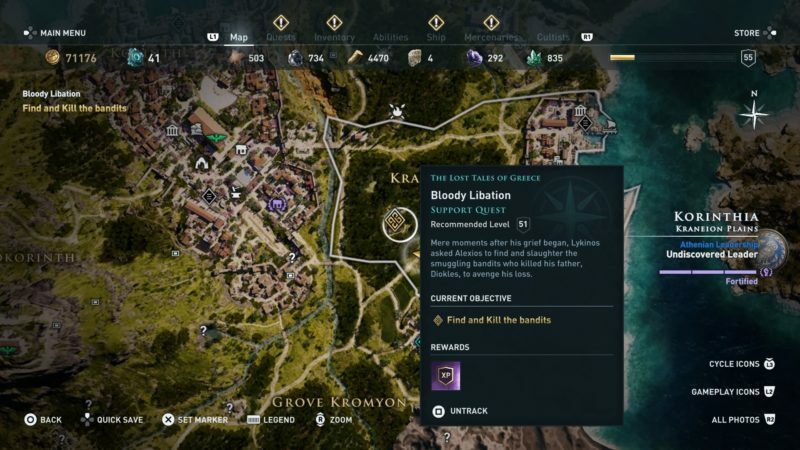 You have to find and kill the bandits who killed Lykinos’ father. Get to Kraneion Plains. The map below should better indicate the position of the bandits. As you get closer, you have to use Ikaros to pinpoint the exact location. 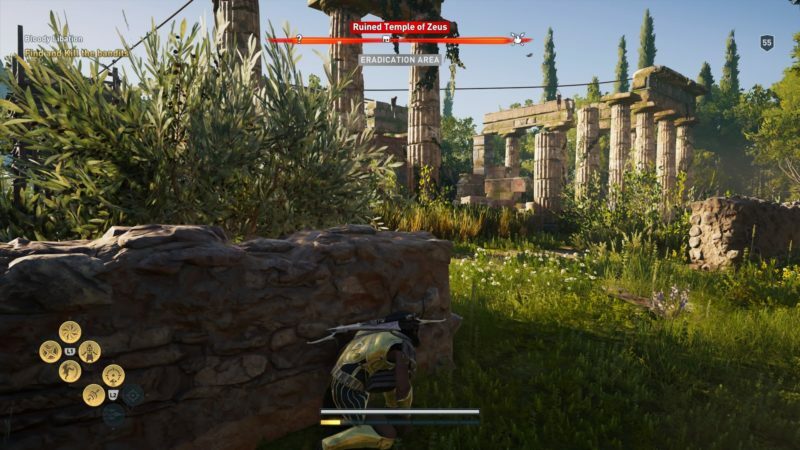 The bandits are actually in the Ruined Temple of Zeus. 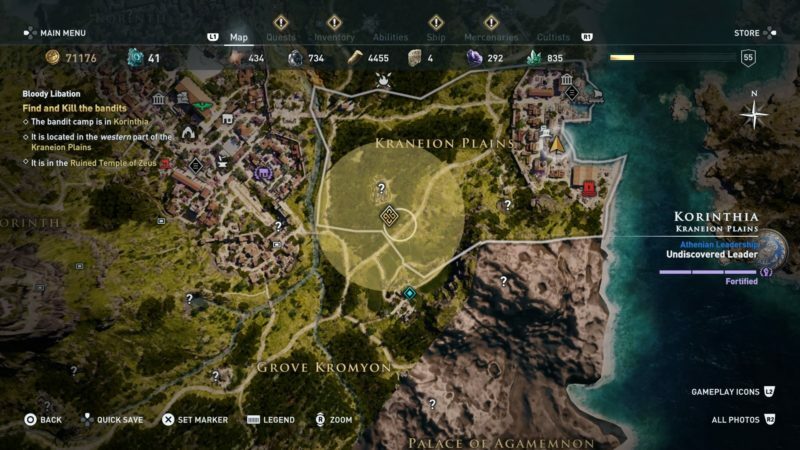 The exact location is shown in the map below, marked as the quest symbol. As you get there, you should find several bandits inside the ruined temple. One way to clear them is by using the Ghost of Artemis arrow skill that penetrates through walls. Once a few bandits are left, you can just melee them. Remember to loot the treasure chest here, apart from the bandits’ bodies. The quest completes after you’ve defeated the bandits. You should get some items and drachmae as quest rewards. That’s all for this quest.